Trinity is a young woman who grew up an orphan. She never really had a family of her own, but was taken care of by many different families in her life. Trinity is happy, but she doesn’t feel like she belongs anywhere, or with anyone. Then, when the opportunity to move out of her small Vermont town arises, Trinity can’t resist. She is going to move out West, and become the bride of a cowboy. Excitement floods her life, and she is ready to take on her new role in life, hoping that the void will be filled. But when she discovers her new husband has a huge secret, she doesn’t know how to react. Once again, she battles the feeling of not being wanted. She feels she doesn’t belong, and she doesn’t know if she wants to stay. Will Trinity have to go back home to the life she knew in Vermont? Is she destined to live a life of solitude… never belonging anywhere, or with anyone? Will she find the true happiness she is searching for? 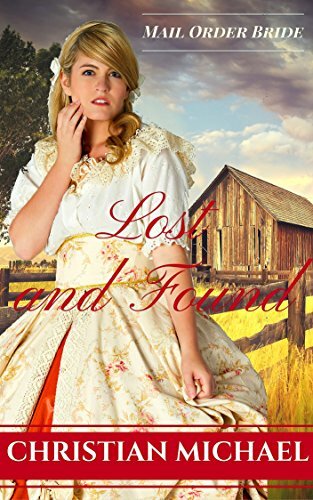 This is the Kindle version of MAIL ORDER BRIDE: Lost and Found (Western Historical Romance) that you can also download and read on your computer and mobile phone. Kindle books are DRM protected and therefore, unlike ebooks that are in PDF or ePUB format, you cannot read this ebook without the official Kindle apps.